Growing up, I thought I knew everything. I attacked the world in a way that only a child can and made choices that were less than ideal. 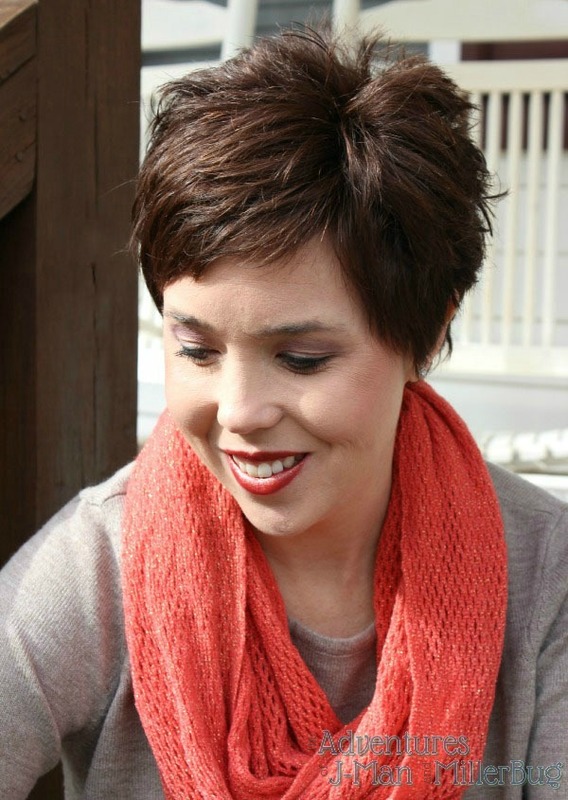 I shrugged off advice and lived by the thought that it was my way or the highway. Yes, I was your typical teen who ignored most words of wisdom. However, I was smart enough to take one piece of advice from my mom to heart. You see, when I was just 13 years old, she sat me down and explained to me the importance of skin care and protecting my skin. Now I’m not sure I really “got” it way back then but something about what she told me just stuck. Her words echoed through my head each morning as I hopped out of bed and prepared for the day. And with her wisdom, I developed a skin care routine that has helped me keep youthful looking skin into my mid-30’s. Looking at my mom now, I know I was wise indeed to heed her advice regarding skin care. At almost 70 (sorry mom!) she is stunning. Radiant. And pretty much the poster child for how every woman wants to look as she ages. And for the first time ever, I’m going to share her wisdom with you in the hopes that where ever you are in your skin care routine, her tips can help you age gracefully and keep your skin glowing! So are you ready? I hope so because I’m ready to tell you all about my daily skin care routine for younger looking skin! Let’s get started! I learned early on that if I want younger looking skin, water is my friend! Drinking eight glasses of water a day has just become part of my routine and I can tell a big difference when I don’t do it. Keeping hydrated keeps my skin looking bright and young, not to mention skin that is moist is less likely to look wrinkled! In fact, I’ve gotten so into the habit of having water with me that no matter where I go, my water bottle comes along. I truly think that this has helped me keep great looking skin over the years. This may be the one rule that I broke a time or two in college but it’s so important. Being a good Southern girl, my mama taught me to “put on my face” every morning. But even more importantly she taught me to take it off at night. Just that one simple step of keeping my skin clean while I sleep has played an important role in my skin care routine throughout the years. And while I may neglect some of my daily responsibilities in favor of sleep, cleaning my face thoroughly is not one of them! Speaking of sleep….As a mother this has been one of the areas that I struggle with the most. Getting plenty of sleep may not sound like part or your skin care routing but it totally is! Sleep is the time when your cells regenerate and heal themselves so ensuring you get eight hours a night is a great way to make your skin look and feel fresher! And while eight full hours may be a stretch for most moms, I do ensure that getting sleep is a priority in my daily skin care routine! 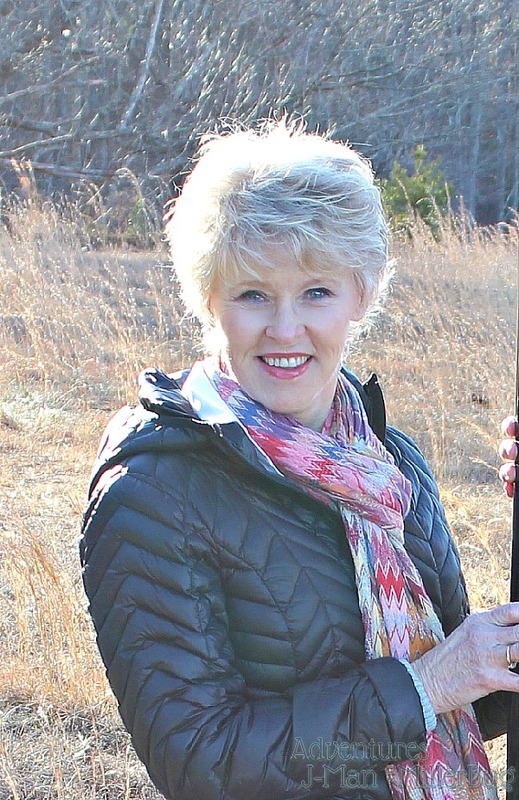 While all the other tips I learned from my mama were important, the single best advice she ever gave me was to choose carefully when it came to my skin care products. Over the years, I’ve seen her try many a moisturizer to keep her skin looking young. She’s never been afraid to see what is out there and discover what works best for her. Knowing that trial and error has been an essential part of her skin care routine, I am always on the look out for products that work better for me. So recently when I discovered NO-AD Prevent & Repair and NO-AD Prevent & Brighten in the lotion aisle at Walmart, I was anxious to give it a try! Available in both 6.5 oz Spray and 12 oz Pump Lotion options, this affordable whole body moisturizer is a multi-functional beauty product that has SPF protection to help in achieving beautiful skin! But that’s just the start! This one easy to use product is perfect for your entire body and helps to beautify and moisturize your skin, all while helping to prevent aging! And with it’s SPF component, it goes beyond simply moisturizing to ensure that you’re protecting, repairing and all around loving the skin you’re in! 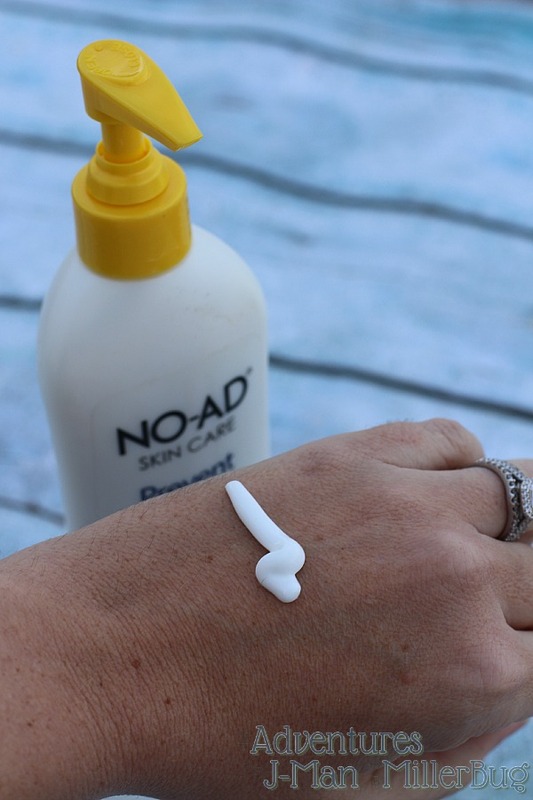 No matter how busy my days get, NO-AD Anti-Aging Body Moisturizer’s premium blend of vitamins, antioxidants and SPF 15 broad spectrum protection are easy to work into my routine! With a pump option that’s perfect for when I need extra moisture or have a little more time, I’m ensured that from head to toe my skin will get the moisture it needs to prevent aging caused by cumulative daily sun damage! And when time is tight and I’m running out the door, all it takes is a spray of NO-AD Anti-Aging Body Moisturizer and instantly my skin feels soft, smooth and protected in a way that I didn’t know was possible! So now that I am older, I’m so thankful that I’ve taken care of my skin over the years. But I’m even more thankful that I’ve discovered an easy skin care secret to improve my daily routine! 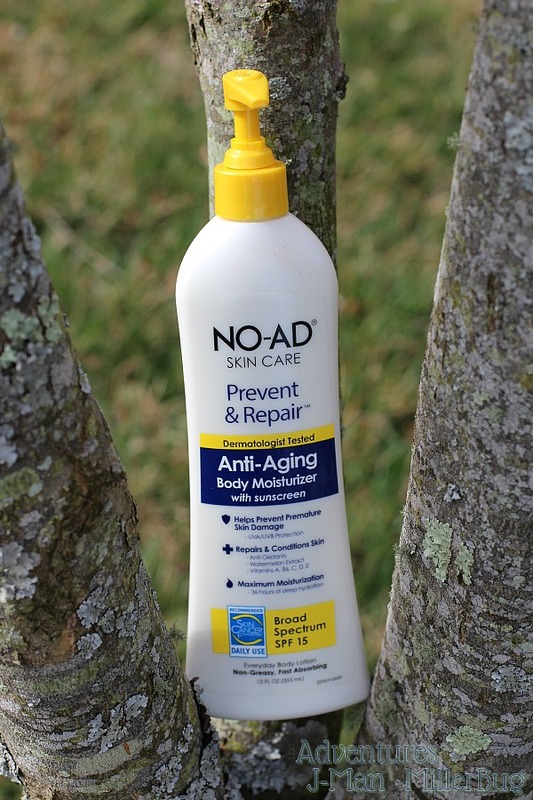 I’m also more determined than ever to use NO-AD Anti-Aging Body Moisturizers daily to keep my skin looking great. Because you see, while it was super important for me to have an effective skin care routine when I was younger, now it’s just down right essential. But do you know what is even better? While NO-AD Anti-Aging Body Moisturizers fit perfectly into the tips my mama taught me, I’m the one being able to share this skin care secret with her! Because while she showed me that sometimes you find a product that works best in the last place you would have expected, I showed her that it doesn’t take a million products (or a million bucks) to truly treat your skin! 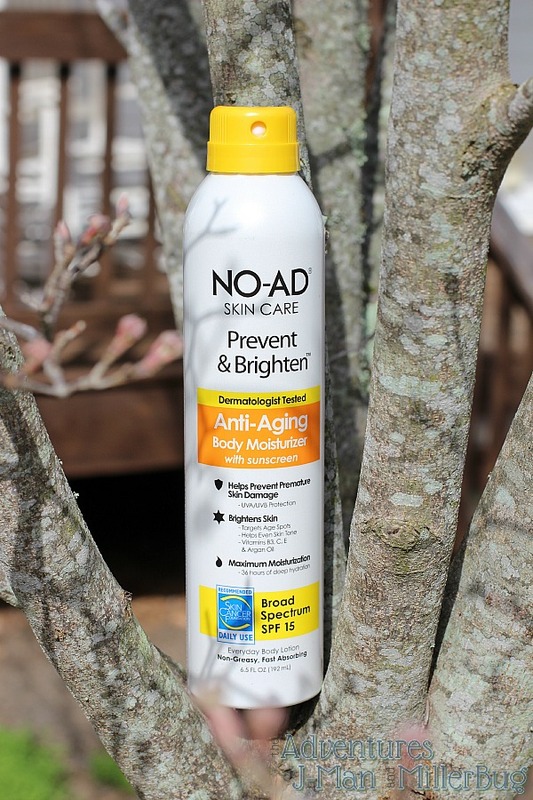 So instead of having tons of bottles that each target a different part of my body, I’m trusting ALL of my skin to the healing and protecting power of NO-AD! So, are my mama’s skin care tips working? Well, I’d like to think so! With her wisdom and NO-AD Anti Aging Body Moisturizers, I have to say that my mid-30’s are looking pretty good! And I can only hope that by incorporating these tips into my daily life, I’ll have radiant, glowing skin for years go come! Are you ready to discover the secret to beautiful skin everyday? 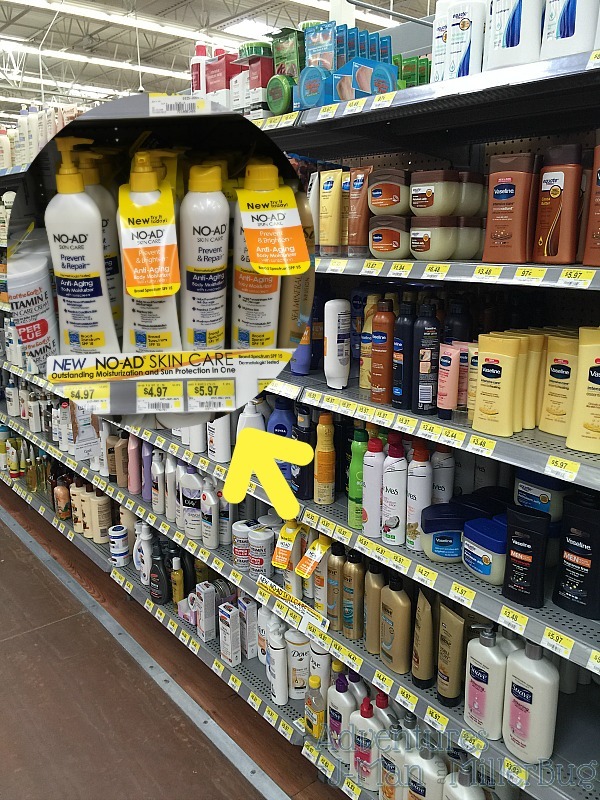 If so, click here to find a Walmart near you that carries NO-AD Anti-Aging Body Moisturizers. But wait! Once you’re ensured that NO-AD is sold at a Walmart near you, grab a coupon to get yours for less! 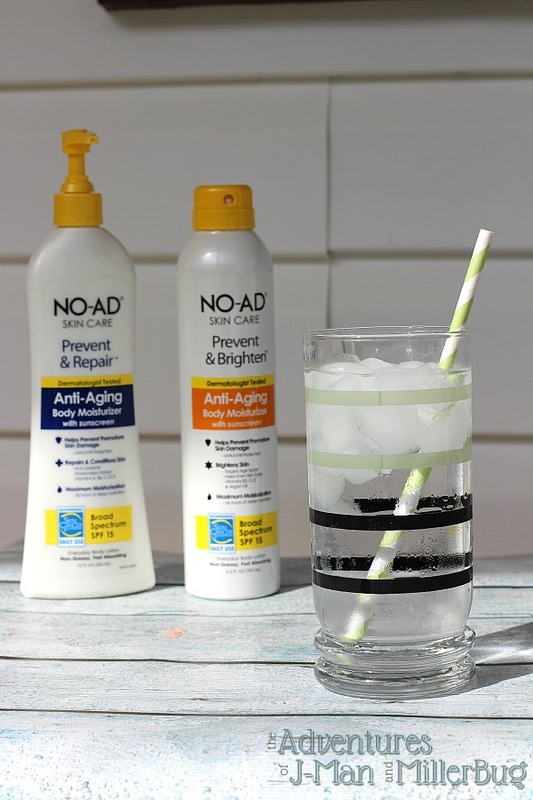 You can save $2.00 on any one (1) NO-AD Anti-Aging Body Moisturizer Pump Lotion or Spray Lotion! That’s a 40% discount off the 12 ounce pump lotion and a 33% discount off the 6.5 ounce spray lotion! That makes this already incredibly affordable way to get gorgeous skin a total steal! So don’t wait! Print your coupon and head to Walmart so you can start caring for your skin with NO-AD today! Tell me, what does your skin care routine look like? This seems like an interesting set of products.I am only 28 so I don’t need to buy these, but I do know of some people that could benefit from using it. Alicia recently posted..#Disney – Marvel’s AVENGERS: Age of Ultron – New Spot NOW Available!! Oh girl! I started using anti-aging when I was in my early 20’s! Preventative care is where it’s at! I’m pretty good with implementing most of the tips you share and so far so good. My good genes have also been good to me! Oh my lord, I cannot believe your mother is almost 70. She is so beautiful and youthful. I love all your tips. My number one challenge is drinking plenty of water. But I know it will help. 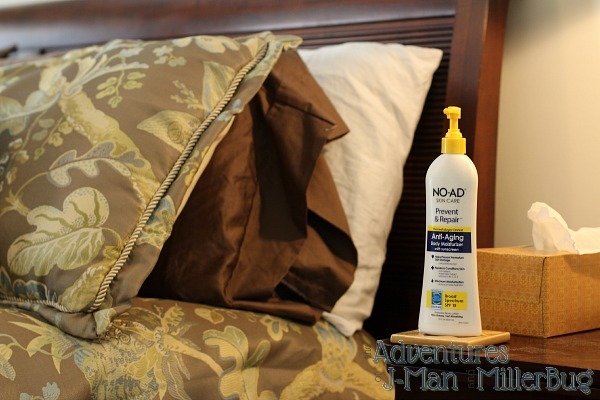 I have not seen NoAd moisturizers before, but will have to look for them next time I head out for lotion. Although I seriously hate to admit it, my skin is starting to show signs of aging. I have these pesky little laugh lines that I would love to see GONE! You and your mom are gorgeous! And these are really great tips. The water tips is so important and I am SO bad at it. I’ve been looking at those No-Ad products. Since making it over 40 eek! I’m definitely seeing more signs of aging. I haven’t seen this brand before! I love that it’s under $5! Thanks! I need to grab a spray version! You and your mom are beautiful 🙂 I’ve never seen this brand before but I agree with all your tips.. Water is my best friend for sure! I start my day with a glass and end my day with one and drink about 2 liters in between.. I also notice a huge difference in my skin when I don’t get enough rest…. She’s stunning (it must be genetic)! I try to follow these rules, but a little reminder is always appreciated. I know I could do a little more to ensure my skin’s appearance a little longer. She looks reallly good. I think this is the perfect time of year to show these products. I have little knowledge on proper skin treatments, and I found this very informative. Thank you for sharing this bit of information with us. I am lucky to have fairly young looking skin for being over 50. 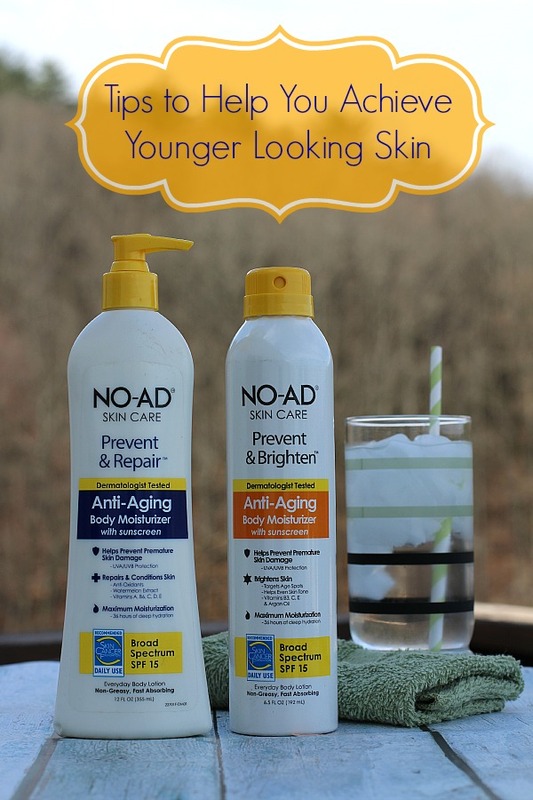 Your tips will help me continue to have younger looking skin, especially with the NO AD products. My skin is dry and dull. I could definitely use these to perk my skin up and look better. I never used products on my skin to keep it moisturized until the last few years. I’m so bad! Now I can’t imagine going without moisturizer, and the water does help a ton! That was a great lesson to have take. 🙂 You both look great. My SIL has always taken excellent care of her skin and she looks younger than the rest of us who are her age. There’s def. some merit to it. 2 years into my 30’s and I’ve really noticed the aging process has begun, especially on my face. My biggest problem is of course sun damage because I don’t put anything with an SPF on my face. My oily skin just sheds lotions and my face ends up a mess. What a great line! 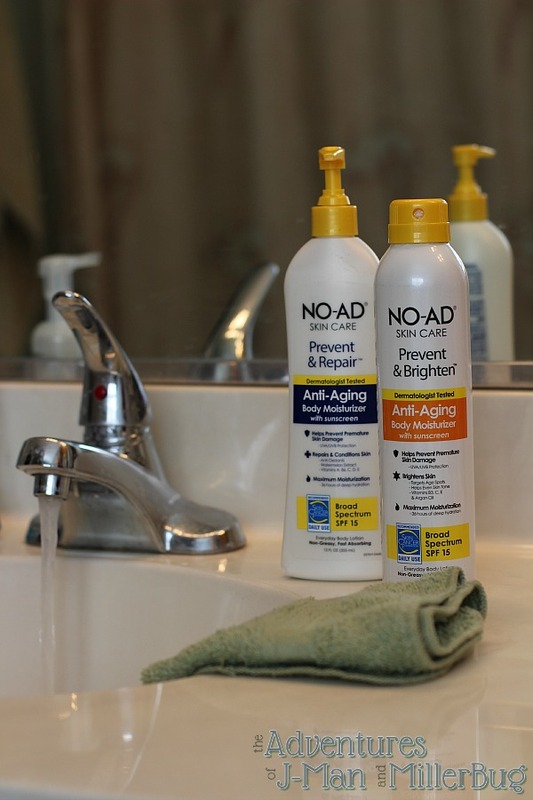 I used to use No-Ad, but now that they have some anti-aging, I think I am going to revisit them again this summer! Drinking enough water is also something that’s neglected! Both of you look great! We always used No-Ad growing up! Nice to see they have expanded their product line. I have been one that learned early to drink lots of water every day too. I also try to use other beauty products to keep my skin looking younger.